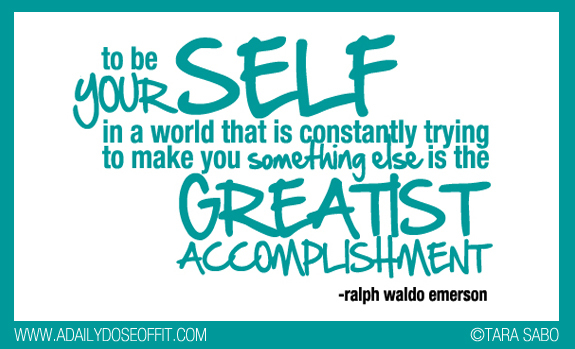 A Daily Dose of Fit: Be yourself. I love this post, Tara. I agree that it is easy for us women to fall into the comparison trap but we need to realize how amazing we are. Great message! !